WhatsApp is one of the most frequently used communication app that has almost replaced text messaging from telecom network providers to internet messaging. WhatsApp users can easily exchange messages, pictures, videos, lots of emojis, voice messages and now the most awaited feature of WhatsApp has just arrived, that is WhatsApp Free Voice Calls. WhatsApp voice calls are only available for Android users using the latest version of WhatsApp from WhatsApp’s official website instead of Google Play Store version at the moment. iOS, pezsecur, Blackberry and Windows Phone users are currently unable to enjoy the Free Voice Calling Service offered by WhatsApp. In the latest version of WhatsApp that offers voice calling features, there are three tabs namely Calls, Chats and Contacts. The Calls tab offer the summary of voice calls being made. Its sort of call log for WhatsApp voice calls. You can initiate voice calls with the CALL button next to attachments button at the top right corner of the chat window. The voice calling interface of whatsapp has been shown in the above screenshot. You can also enable the loudspeaker, can mute your voice and send messages during whatsapp voice calls. I had also created the list of Best & Top Rated Voice Calling Apps For Android, make sure to check it out as well. 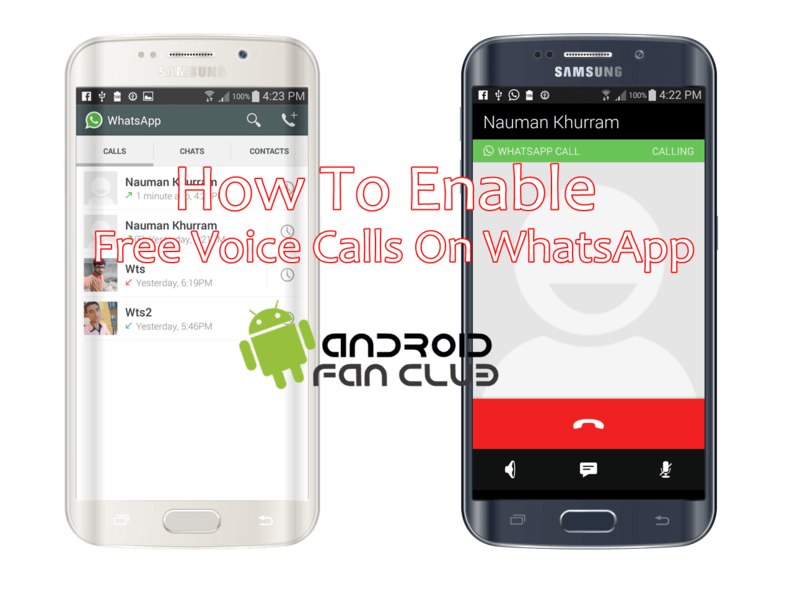 How To Enable WhatsApp Voice Calls? 2. Install Terminal Emulator For Android From Google Play Store. Now restart your Android smart phone to get voice calls feature activated on your WhatsApp. After that you will be able to make free voice calls with whatsapp to other whatsapp users. 3. Add the following 2 lines of code anywhere in the com.whatsapp_preferences.xml file, within the <map></map> parameters and then save the file. Could you please post the number in full format along with country code? Your voice calls have been activated, if you had updated to the latest WhatsApp version.